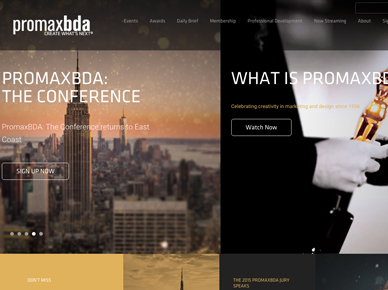 PromaxBDA (The Broadcast Design Association) leads the global community of those passionately engaged in the marketing of television and video content on all platforms. 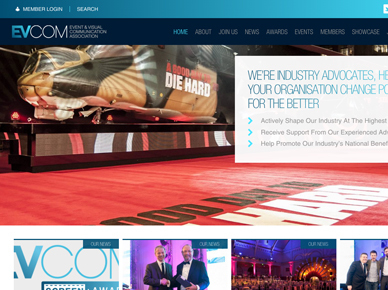 The association represents more than 10,000 companies and individuals and is considered to be the leading global resource for education, community, creative inspiration and career development in the media and media marketing sectors. Created from two highly successful associations – Eventia representing the live event world, and IVCA representing the visual communication sector – EVCOM is comprised of a wide variety of leading professionals, agencies, freelancers, destinations, production companies and suppliers: all working for you at the highest levels throughout the events and visual communication sector. EVCOM provides seminars, CPD and regular networking events. 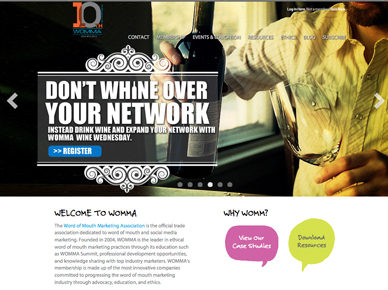 The Word of Mouth Marketing Association (WOMMA) is the official trade association dedicated to word of mouth and social media marketing. Founded in 2004, WOMMA is the leader in ethical word of mouth marketing practices through its education such as WOMMA Summit, professional development opportunities, and knowledge sharing with top industry marketers. The Art Directors Guild is comprised of Art Directors, Graphic Artists, Illustrators, Matte Artists, Model Makers, Scenic Artists, Set Designers and Title Artists. 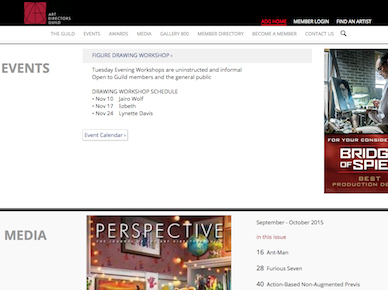 Its ongoing activities include a Film Society, an Annual Awards banquet, technology conference (5D: The Immersive Design conference), an annual art show (Art Unites, an exhibition of members’ personal artwork), the publication of an annual Membership Directory, a bi-monthly craft magazine (Perspective), an extensive technology-training program, creative workshops and craft exhibitions. 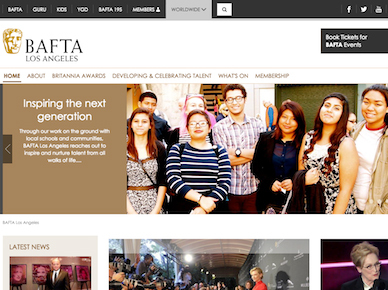 BAFTA Los Angeles develops talent, creates opportunity, and expands our understanding of the craft. It unites the Hollywood and UK Industries, and serves as a beacon to discover the latest wave of British talents. Each year, excellence is rewarded through its major Hollywood events including the Britannia Awards, the Awards Season Tea Party, and the Television Tea Party. It also has a comprehensive year-round screenings program, as well as series of programming, seminars and panel discussions. 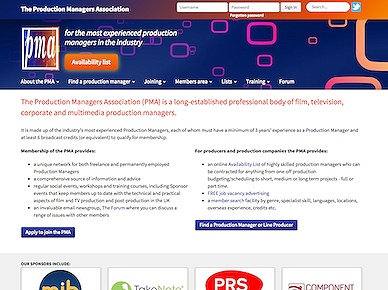 The Production Managers Association (PMA) is a long-established professional body of film, television, corporate and multimedia production managers. It is made up of the industry’s most experienced Production Managers. 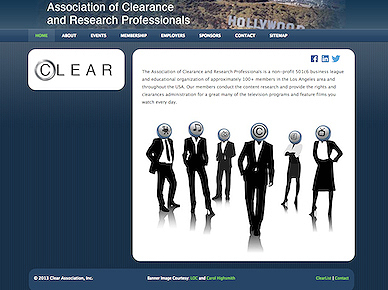 The Association of Clearance and Research Professionals is a non-profit association and educational organization of 100+ members throughout the USA. 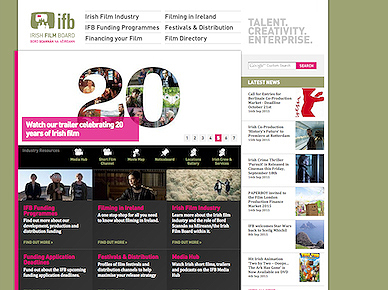 The Irish Film Board (IFB) is the national development agency for Irish filmmaking and the Irish film, television and animation industry, investing in talent, creativity and enterprise. 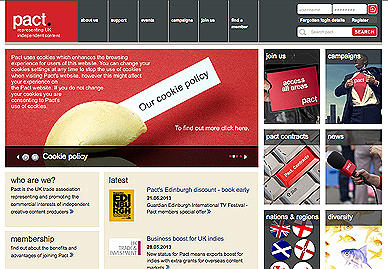 The agency supports writers, directors and production companies across these sectors. 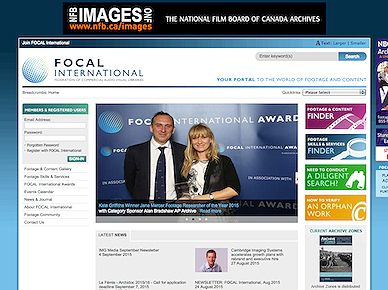 The Federation of Commercial Audiovisual Libraries International (FOCAL International) is a professional not-for-profit trade association formed in 1985, which facilitates the use of library footage, images, stills and audio in all forms of media production. 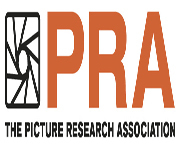 One of the UK’s leading associations which supports and promotes independent content producers, including animation companies, independent feature films, television and digital projects. Membership numbers more than 450 businesses.